What is Fairhorns? 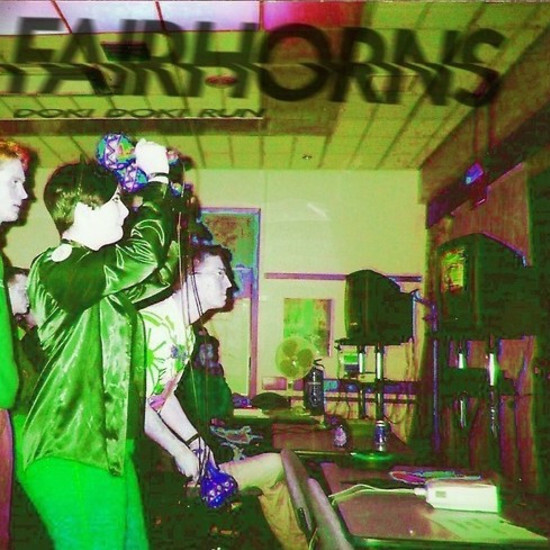 Fairhorns is the sound of the dirty future to come. More prosaically – but not by much – Fairhorns is Bristol based multi-instrumentalist Matt Loveridge, best known for his role as guitar abuser and keyboard/synth manipulator in acclaimed experimental rock trio Beak> alongside Billy Fuller (Fuzz Against Junk) and Geoff Barrow (Portishead, Quakers). You may also know Matt as Team Brick, whose 2009 debut album Alogon was greeted with considerable praise. Prior to that, Team Brick had garnered a reputation for unpredictable, exciting and often confrontational live shows, suggesting a British-born hybrid of R Stevie Moore, C Spencer Yeh (Burning Star Core) and Mike Patton. After a number of years of getting thoroughly puzzled with itself – and self-releasing a succession of limited-run CDRs covering ground from chiptune pop to heavy drone and Power Radiophonics – Team Brick splintered into several different projects, each one focusing on a separate element. Thus, Fairhorns was born. Released via forward-thinking UK label Invada, DOKI DOKI RUN is the project’s debut album. Matt describes Fairhorns as “the fuzzed out, too-much-coffee haze of an all night YouTube binge. Blackened Kraut. Ur-Step. Half-remembered kids TV theme tunes on a locked groove. Autistic blues – music for angry nerds who like to groove stoically and immobile.” The discerning listener may detect elements reminiscent of Hospital-era Cold Cave, Xeno & Oaklander, La Dusseldorf and even avant-doom pranksters Crom in the album’s quixotic flow, ranging from clattering electro-percussive assault to organ-led dreamscape. Ultimately though, DOKI DOKI RUN is the singular product of Matt Loveridge’s fevered imagination and precocious musicianship. This is unmistakably the same artist whose mangled axe eruptions and wayward spurts of synth added a distinctly alien character to Beak>’s two albums, and in focusing on a single aspect of his sound, he’s created his most potent work to date – DOKI DOKI RUN is instantly accessible and compellingly perverse in equal measure. A lot like its creator, in fact.